Local Flight East: It is officially official. 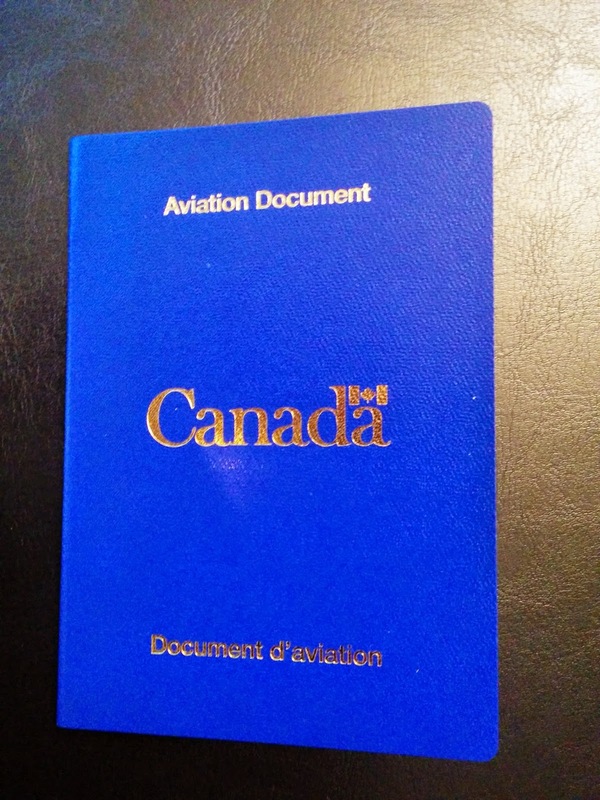 My shiny, new, official aviation booklet. It’s full of official looking stuff and far too many images of my photo. There are many abbreviations inside; including the fact that I’m officially a PPL SEL. I informed RTH that I needed to get both my Sea and Multi engine rating ASAP. Because then I’d be SMELS, and I find that funnier than I should! In true Canadian Bureaucratic style though, all is not as simple as it should be. My “Aviation Documentt” negates the need to carry my medical certificate with me (it’s now a sticker in the back of the booklet) but it doesn’t include my radio licence (different department you see) so I still have a loose piece of paper that I need to lug around.